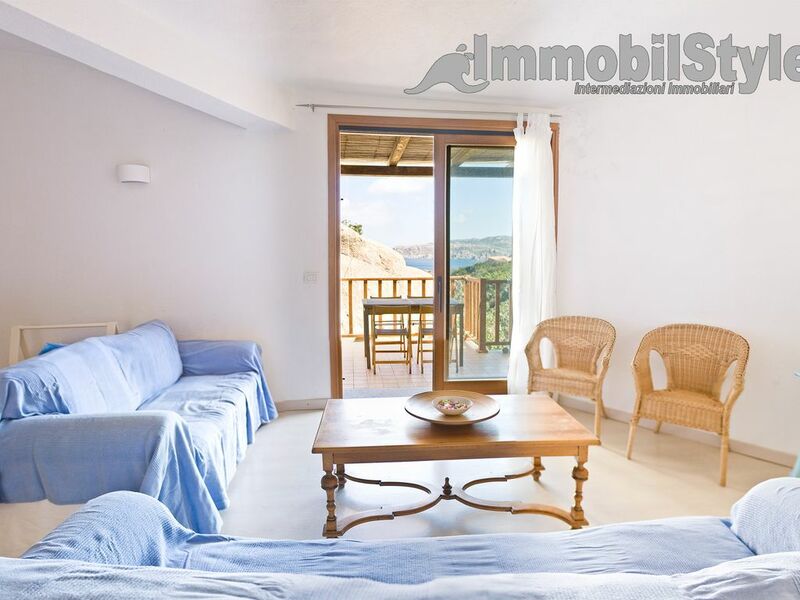 The house is located about 4 km from the center of Santa Teresa Gallura at Capo Testa. Fully furnished and very comfortable, is on two floors. Living room with dining table, TV, sea view window, separate kitchen with oven and dishwasher. Three-room double / twin bedrooms, two bathrooms with shower, washing machine. Porch with the possibility to eat outside. Parking spot. Crossing a path typical Mediterranean scrub and rocks of granite, about 200 meters you reach the beautiful 'Cala Zinu' (represented by photos) through a beautiful setting and a small beach. Ideal for those who want to snorkel. Capo Testa offers several services: restaurant, bar, tobacco shop and a small market. Nice area for lovers of trekking, hiking and walking tours with small rocks, from the beautiful bays and beautiful than the famous "Valley of the Moon 'or' Cala Grande ', so called because of the typical rocks. Capo Testa is one of the most beautiful places in northern Sardinia, full of beaches and coves, spectacular granite sculpted by the wind and the sea from a wide variety of forms.